Home automation is not just a trending fad in homes all over the world right now, but is a useful technology that is making plenty of home owner’s lives easier, safer, and more dynamic. For example, parents who used to worry about their kids having to come home to a home alone with no support can now install smart locks and other technology to help them gain access and even communicate with their children. Statistics show the more than half of people who get home automation technology acquire the devices alongside home security equipment. That suggests that a big part of home automation is geared toward and integrates with home security equipment. This makes sense considering that having a smarter home generally requires your home to have sensors that can trigger certain events based on user preferences. A home with more sensors will also generally be a lot more secure because the homeowners can easily check if any irregular activity is in progress in their home while they’re away. 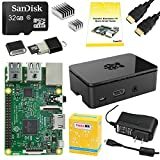 So what are the best ways to use the Raspberry PI for home automation? Running home automation software on a Raspberry Pi can save money and be a fun project, but it will require some pretty intense technical knowledge. Most of the open source home automation tutorials out there are built on the Python programming language and while Python is pretty easy to learn, most home automation projects are not good projects for beginners. Many security systems on the market take advantage of infrared motion sensors because they are effective at detecting intruders and they are extremely cheap to make. Implementing them with a Raspberry Pi is no exception. In fact, you can get a Raspberry Pi motion sensor shipped to your door for a few dollars on eBay. This Raspberry Pi project could be expanded by having a picture or video taken when the motion is detected. Then you might have your Raspberry PI send a text message to your phone alerting you that your sensor has been triggered. Security cameras are generally considered an essential security feature, especially in the retail business world. Without security cameras, most cases of larceny and theft would go unconvinced, but cameras are no longer just a simple evidence gathering device. Now with the advances in technology, you can use cameras inside your home to view what is going on inside your home from the other side of the planet. Most cameras of this fashion offer a two-way audio feature allowing you to communicate with whoever is on the other side of that video feed. Using a Raspberry Pi to create live streaming, two-way audio security cameras that you can interact with on your phone from across the planet may be difficult, but it is not impossible. So if you’re a tech savvy person and are looking for something to do, this might be the project for you. Making a text messaging doorbell with the Raspberry Pi will require a little bit of soldering skill and a wireless doorbell, but is relatively easy to pull off. Since it is an automatically triggered process, all you really need is the right code running on the Pi, connection to the doorbell, and a wireless internet connection. You could of course expand on this project by adding cameras and two-way audio capabilities like the Ring video doorbell. You could even set it up to where you can tell a door-to-door salesman to go away at the push of a button. Lighting is actually the most energy expensive home utility behind heating and cooling and a lot of home automation users have opted to automate all of their home lighting. Personally, I have pretty good habits for turning off the lights in my home, but one thing that I hate is trying to figure where the heck the key hole is on my front door. So one cool project I highly recommend adding to your Raspberry Pi list is having entry way lights turn on automatically on motion detection. This also might help scare away any unwanted lurkers on your property. Protecting your entire home can take quite a few sensors when you consider how many entry points there are on the first floor of the average home. While implementing a few home automation tasks with the Raspberry Pi can be a lot of fun, for home security you’ll likely want a more complete solution with professional monitoring. Security systems like Protect America have the ability to connect with Z-Wave and connect to other home automation hubs and features. If you’re looking for a completely dynamic and reliable home security solution, get a free quote with Protect America today.